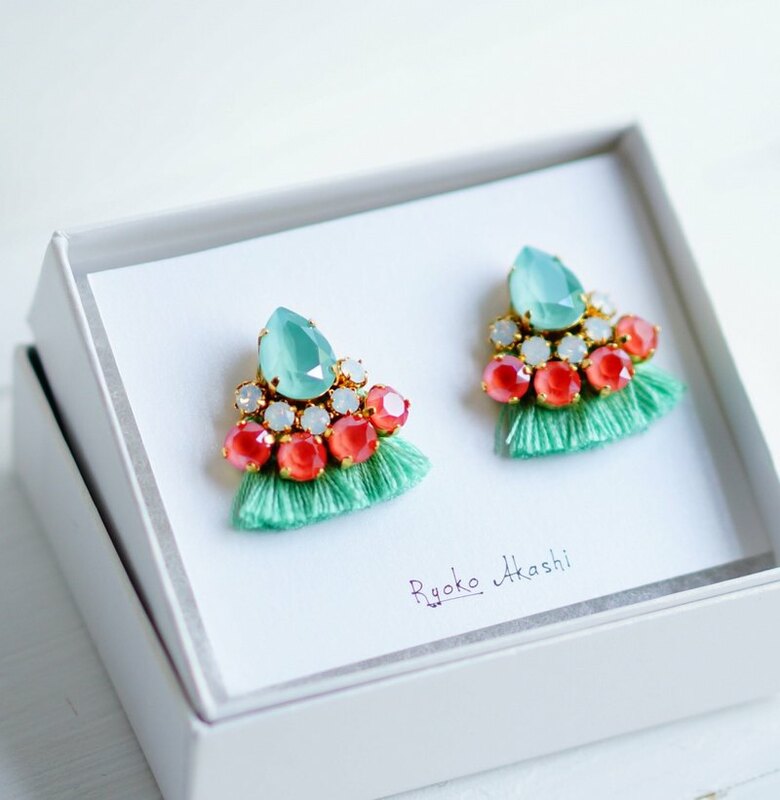 Brilliant coloring is an eye-catching earring of Swarovski. Brilliant coloring is an eye-catching earring of Swarovski. I used fine green silk thread for fringe. It is recommended that you match the style of the party dressing up, or match it to a casual style such as T - shirts and sneakers. Eye-catching eye-catching, this is an earring that will show your face surroundings gently. There are six colors of color other than green, yellow mix, navy, pink mix, cream, monotone. ※ Please choose by purchase option whether pierced earrings or earrings. In addition, if the pierced hole is located at the very bottom of the earlobe etc., there is a case that the piercing body tilts when wearing. In that case we recommend earrings. [Earrings] Material: brass [Earrings] Material: Brass ※ The part hit behind the ear is made of rubber.